It takes a lot of planning and time to go into creating your dream kitchen. 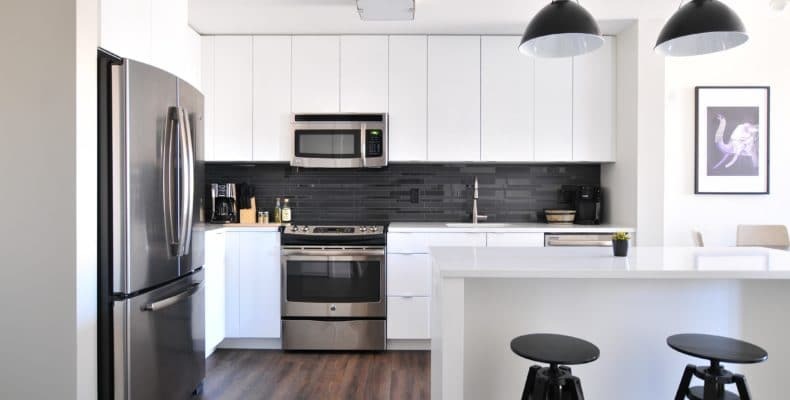 To help you build or re-build your dream kitchen and make it functional, follow these tips for kitchen remodeling and design. Before remodeling or building a kitchen, you must first realize your dream kitchen in your mind. Going to sites like Houzz & Pinterest allow you to find projects that may be like your dream. A picture can speak 1000 words when it comes to working with a designer. One thing to be wary of when looking at pictures is to limit the number as much as possible. If you inundate your designer with 100’s of pictures it becomes too difficult to really pin down a style. I always suggest 3-5 pictures of homes that you like. With that a low number of photos, a designer may be able to tell you more about your style than you know yourself. Words and lists can be a great start but home design will always require some form of visual medium. Be prepared for your kitchen remodel. Come with a list of questions for your designer or contractor. Think about what your primary goal is, are you looking for a chef’s kitchen, Entertaining space, or show kitchen. These will have different impacts on the final kitchen design. Have a list of features that you are looking for in your kitchen and your “must haves”. If you need to have a double oven and a separate cooktop make sure that you let the designer know right away. Coming with all the information up front reduces the amount of designs that will have to be done. If you do not have a budget you are most likely not at a point where you are ready to do the remodel. Time and time again I have worked with individuals who did not have a budget and wanted to design their dream kitchen only to be shell-shocked by the cost and start all over. Knowing the budget can save a builder or designer from wasting your time as well as wasting their own. It is also helpful to do a bit of research on what % you want to spend on each aspect of your kitchen. Are you willing to spend more on appliances? Do you want to have ultra-high-end countertops? Rank what is most important to you to see what is most important when applying your budget. I know it gets said more than any other phrase in designing but there is a reason most people are going to “open concept”. If you have the ability to open up your kitchen and it is within your budget (Changing the structure a lot can really hurt the budget) it will give you the most bang for your buck. I have only heard once from a home owner that they wanted to close off their kitchen since I entered the industry. Opening the space gives you a lot more freedom in furniture placement and will typically allow for more natural light in the space. I get asked all the time to create a completely unique kitchen for home owners. There is a reason most homes are done in similar fashions and the work triangle is so popular, because it works. To have a unique space you either need to be able to spend extra money on things nobody else has, or you must be willing to sacrifice on functionality. Do not confuse uniqueness with beauty because it can lead you to over spending or losing the function of your space. There are 3 main types of lighting for your kitchen design. Ambient, Task and accent lighting. Ambient lighting is going to be predominantly made up of your ceiling fixtures (I’m a big fan of recessed cans for my ambient lighting). It used to be simple, pick a size for your ambient lighting and that was all you needed. Now you have more choices than you can count, what color you want for the trim, what temperature for the light, and even some can change colors and have smart features (I will be going over this at a later date). Task lighting is going to consist of lighting that is specialized lighting for work. Undercabinet lighting is a very useful task lighting as it shines directly onto your countertop work space. Accent lighting is going to be all the beautiful extra lighting that you add. They add drama to your kitchen and create the mood that you are looking for. One beautiful way to add a nice detail on the ceiling in your kitchen is to add cove lighting. The biggest tip I can give regarding countertops is think about more than just aesthetics. This is not something that will just sit there and look pretty, it will get used, and used often. Upkeep can ultimately be the deciding factor on your countertop decisions. Countertops like marble are porous and require preventative maintenance on occasion to prevent staining. Materials like engineered stone require little to no maintenance and are having more and more flexibility in aesthetics. Do your research and ask your designer what fits you best. One challenge many designers are presented with is transitioning the floor in the new open concept kitchen. More often than not you will see the material of the living room or dining room extend into the new kitchen space. Hardwood floors are a solid option for kitchen flooring as well as the new wood look tiles. If you are dead set on transitioning from tile to a wood or carpet, creating a border out of a second size or type of tile helps create a much smoother transition. This is barely scratching the surface of the amount of detail that goes into doing a kitchen design and remodel. The main point to get across is to do as much research as possible before planning a kitchen remodel. For many people, the kitchen is the heart of the house and if done incorrectly can haunt you for years.